Golf Top 18 -- "The Second 18"
Since I've played over 3600 different holes in my life thus far, I found myself not being able to contain my favorite holes just in my "Dream 18". So, I have herein expanded the list to the top two for each hole number (the "Second 18"), since this still represents the best 1% of them all and there are just so many close calls. 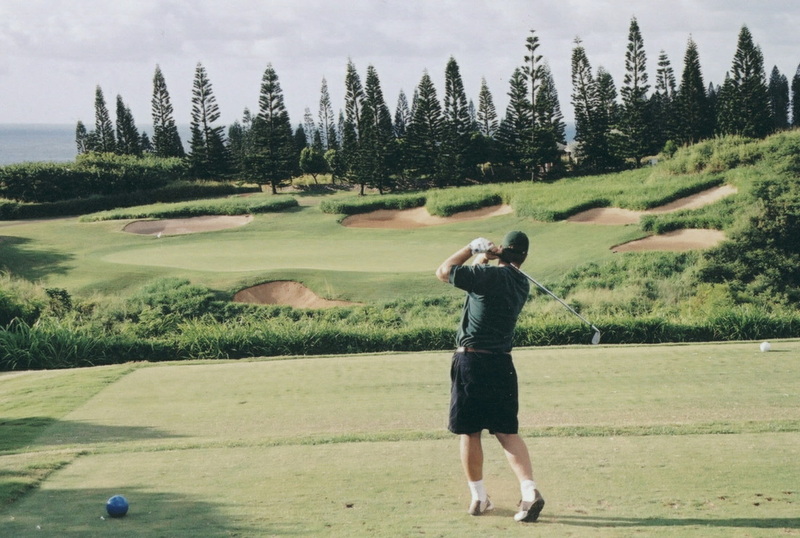 For more full detail on each hole's golf course home, go to the Golf Course Guide. Similar to the "Dream 18", this list is set up based on the actual hole number, regardless of how the overall "course" would look, so no judging me on that account, please. Also, there is no quantitative analysis here, just what I consider the penultimate combination of challenge, beauty, fun, and uniqueness in a golf hole. Comments: The second hole at S.C.C. is a short, but unbelievably great dogleg left par four. 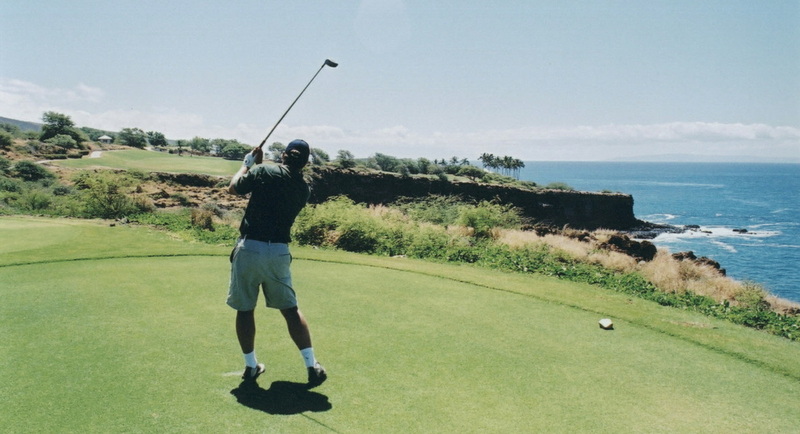 The golfer is strongly encouraged to hit a shot between 170-200 yards through a shoot of trees, avoiding going left at all costs as any approach shot from there will be blocked by a Mammoth tree on the left side of the fairway. Of course going right too far equals OB or a side hill or sand trap shot at best. The ideal drive is either right center, or hit far enough to catch the slope of the shelved fairway, leaving a wedge to the green. This green is surrounded by bunkers, slopes heavily from back to front and is terribly narrow. Any miss (other than just short and right of the green) is bad for the golfer, but those to the left or long will leave a downhill chip or bunker shot running away from the player, rendering an up and down nearly impossible. I've rarely played a short par four that calls for no more than a long iron followed by a wedge (or two mid to short irons) that is so consistently difficult to conquer. 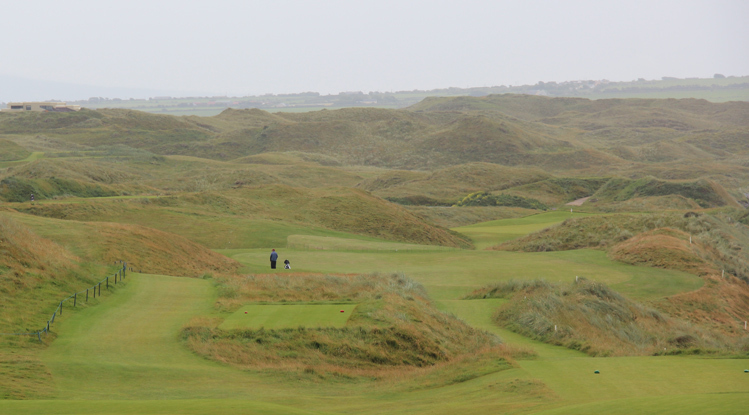 Comments: The third hole at Waterville captures a lot of what makes this course great. The location and views are beautiful and the hole is tough with the sand or water (depending on tide) just right of the drive and second shots. There is also plenty of gorse and four bunkers down the left side of the drive to cause trouble. The bailout left of the green makes for tough chips with lots of undulations on the putting surface. 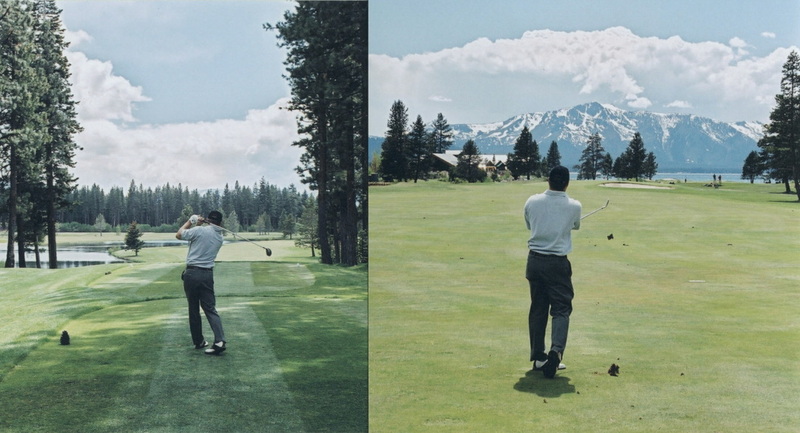 Comments: I had the honor and extremely rare fortune of playing this course in May with little wind and blue skies. With the gorse in full bloom, from the elevated tee, the view to the green is frightening for the shot, but exhilarating for the experience. 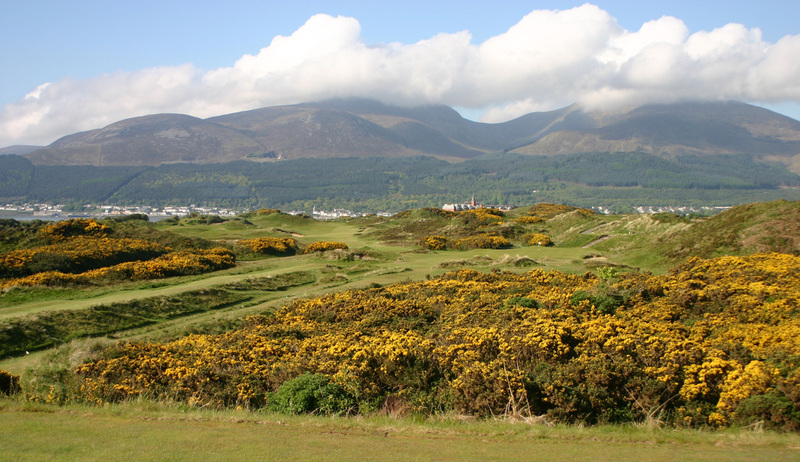 With most of the course in view, the mountains of Mourne, the sea and the town of Newcastle in the background, the player must negotiate the forest of gorse between the tee and the green, taking care not to go right or long as well, as either of those mistakes is very bad. 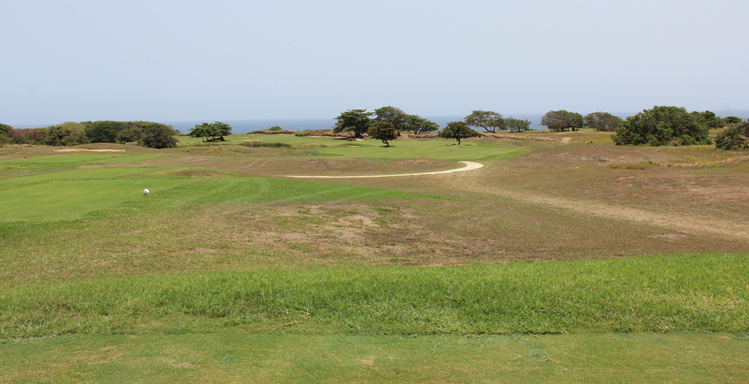 Comments: Long and straight, this downhill par four has one of the best views on the golf course and requires a big drive to the undulating fairways between the massive bunkers on either side. The cunning of the golf hole, however, resides in the green complex that uses a deep central bunker to create havoc. A longer approach shot will require a shot to run up either side of the trap, which is tough because the back half of the green runs away from the player, down into a low chipping area. Higher, shorter shots have a better chance of stopping, but working the way around the undulations for different pin placements requires pure perfection. 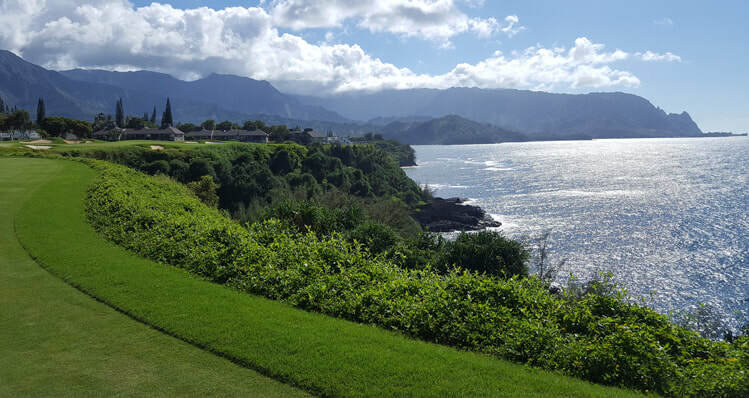 Comments: The Makai’s signature golf hole is a brutal test of nerves and ability as a 200+ yard shot over the Pacific awaits the golfer. To make matters worse, the trade winds are usually blowing right into the Pacific. There are also bunkers and a tough green to putt on this one. The golfer can bail out to the left of the green, which at least gives an "easy bogey", but what's the fun in that? Comments: This strategic par five requires accuracy and commitment to a plan. The tee shot has water left and trees and a bunker that plague the landing area. Laying up short of them is prudent and will allow for a second shot to be played across the corner of the dogleg left. 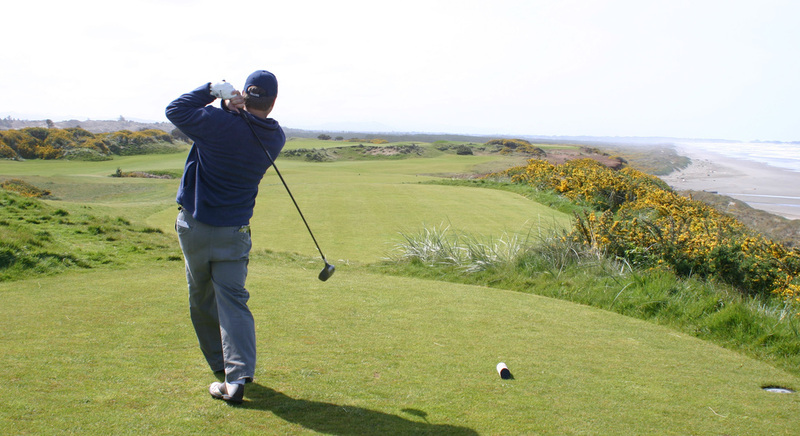 A big drive can afford a chance to cut the corner to hit the green in two with a draw or leave a chip to the green. However, there is an enormous bunker front and left of the green and thick trees on both sides. The green in very unique as it is long, narrow and actually three-tiered, running away from the front to the back of the green, which drops off at its end. Ocean views are afforded throughout. Comments: Named “Death Valley” after the huge desert wash that must be crossed on the drive and avoided right all the way down the hole, it t is an intimidating hole from tee to green and visually stunning with the green grass, brown / red desert and blue sky providing a great contrast. Comments: I really can't imagine anybody who has played this hole having anything negative to say about it. 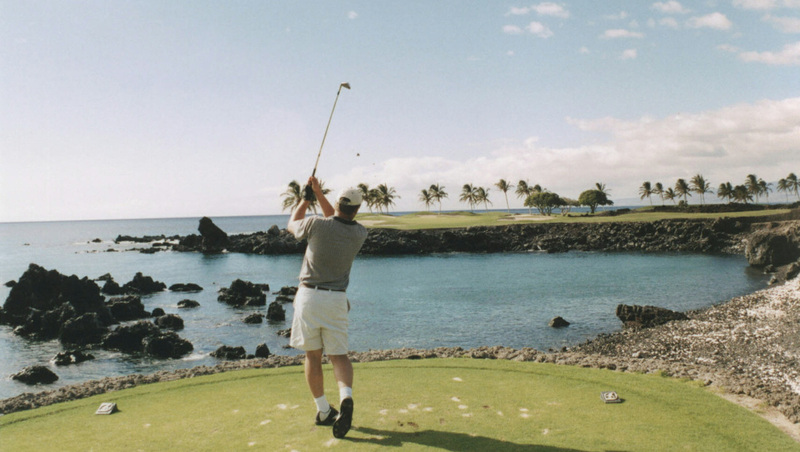 It is a perfect way to end a round with a drive over the Pacific Ocean with trees in the fairway and bunkers right for the timid. 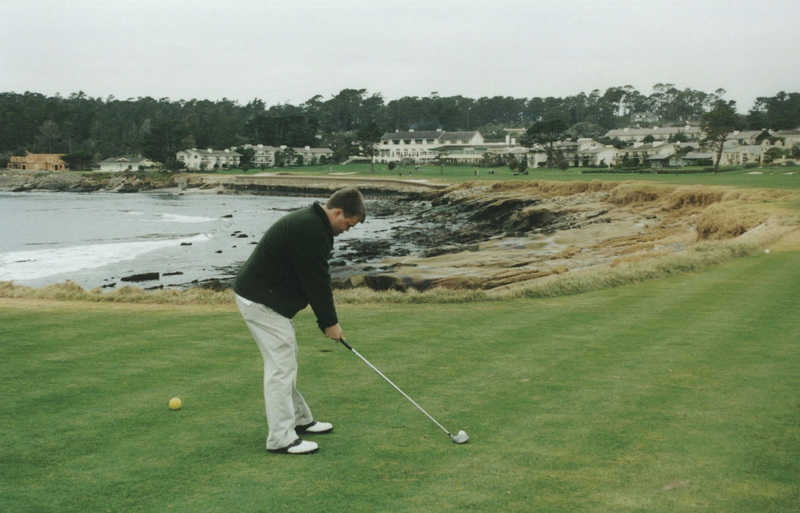 The second and third shots are just as scary with ocean and bunkers left and the famous tree short right of the green ready to get in the way on this unbelievably great finish to Pebble. Agree or disagree with our lists? Post a comment on Facebook.